Present state: Apart from the 'trainshed' overall roof the station is extant and has now been fully restored as a residential and office development. an Italianate classic tradition and finished with Tuscan columns with Corinthian capitals and an overall wood and glass 'trainshed' roof. 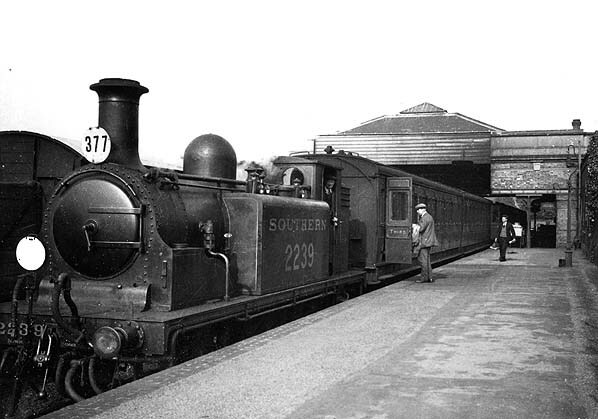 From the start, the station was very busy, particularly with the carriage of coal and other freight, and initially was also used for passengers travelling to Portsmouth, a short ferry ride across the harbour. 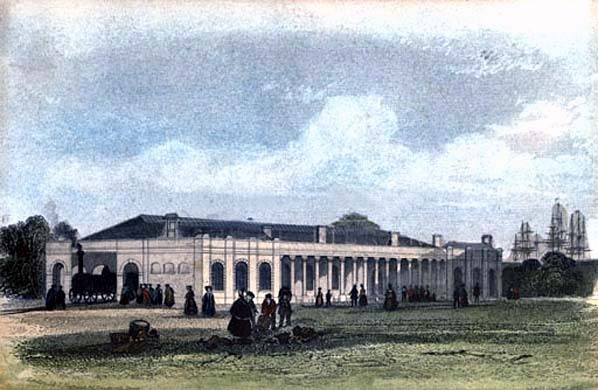 The LSWR also opened a locomotive depot north of the station on the west side of the line in February 1842. This was badly damaged during a bombing raid in 1941 but remained in use until its demolition in 1953.
room, stationmaster's office, parcels office and telegraph office. 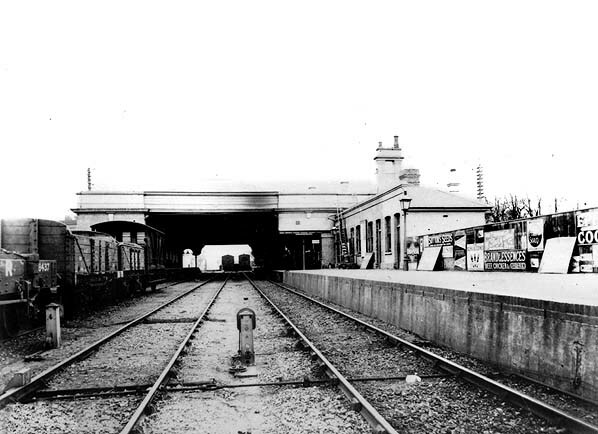 The north platform was retained for goods and included a cattle loading dock (resited outside the station in 1900). 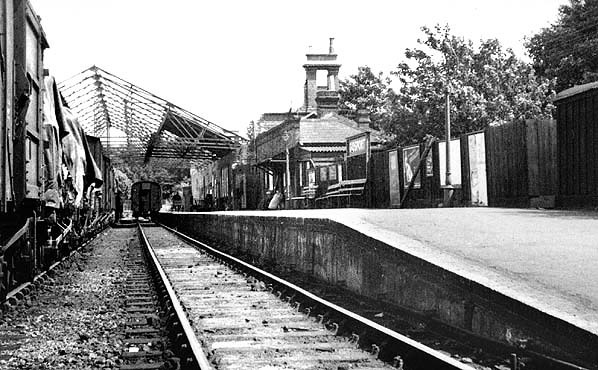 There was a goods shed and 10-ton crane in the yard on the north side of the station but the shed was demolished in 1922 with all goods being handled within the station. There were numerous sidings on both side of the line with those on the up side used mainly for coal which accounted for the majority of freight traffic serving 10 local coal merchants. 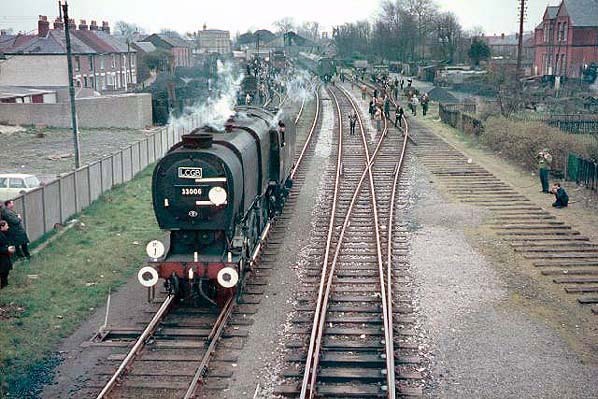 The station also carried ongoing freight traffic to the Isle of Wight. There was also considerable naval and military traffic. The station was given great impetus during World War I as Gosport's role as Victualler to the Navy increased. There was in influx of supplies to and from Royal Clarence Yard, and also large numbers of troop movements and the transportation of the wounded en route to Haslar Hospital. which caught alight and collapsed. After the war a new roof was provided consisting of asbestos sheets on a steel framework. After the war Gosport station's role again diminished. In 1950 there were weekday down trains from Alton and 5 up trains with no Sunday service and a further 4 down trains and 3 up trains from Eastleigh. On 6 June 1953 scheduled passenger services from Gosport ceased. Freight traffic remained until 30 January 1969, but then the station closed to all regular traffic although a private siding remained in use after that date. 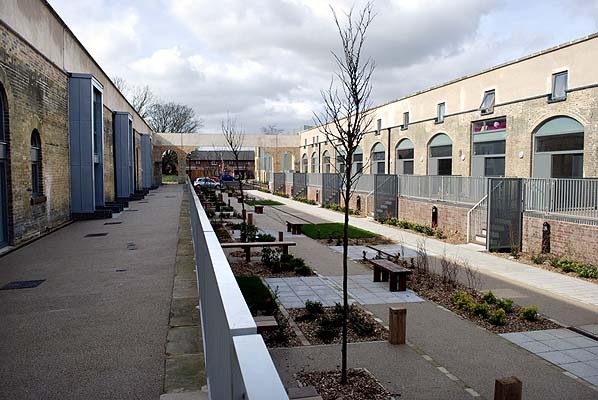 latterly securely fenced, planning approval was given in 2006 for conversion of the platforms and buildings into a small number of residential properties and offices with the main gate in Spring Garden Lane opened up for vehicle access. This development is for the Guinness Trust was designed by architect Matt Swanton of award winning architects Format Milton Architects (now Re-Format). 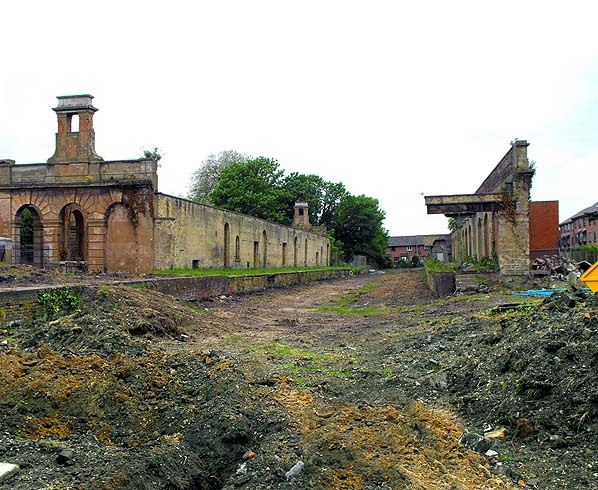 Work started clearing the site in late 2008 and the development was completed early in 2011. 1 - 17 The old Railway and 1 - 12 Lock Terrace. animosity between the two towns. Instead it was proposed that the line should be built to Gosport from where there was a short ferry journey to Portsmouth. The plan was dropped but was revived two years by the London and South Western Railway (LSWR) who had taken over the London & Southampton. 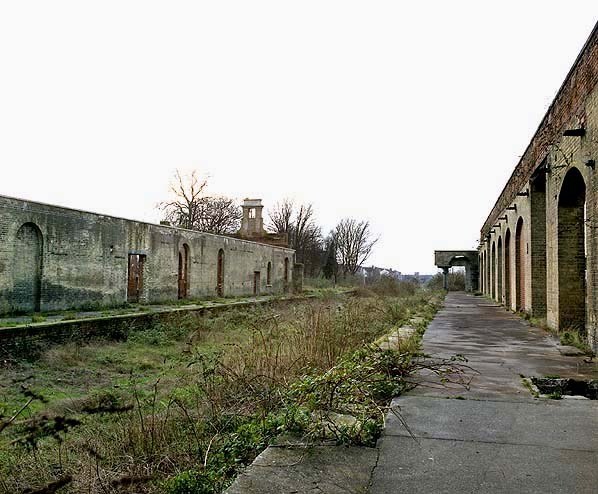 The proposed terminus was to be just short of the town centre as Gosport was a fortified town and the Commanding Officer refused to allow the walls to be breached to bring the railway closer to the town centre. Estate on the Isle of Wight and the Clarence Victualing Yard at Gosport was her favoured point of departure rather than Portsmouth or Southampton. 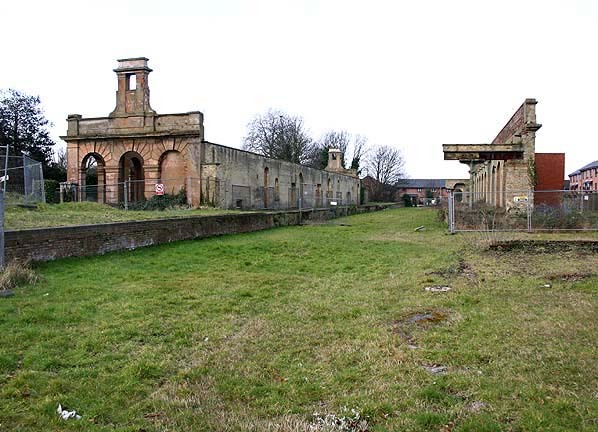 Shortly afterwards Prince Albert and the LSWR agreed to build a 605 yard extension from Gosport through the ramparts of the Gosport Lines to a new station closer to the pier; Gosport Clarence Yard Station (also known as Royal Victoria Station) opened on 13th September 1845. The railway was very busy in the middle part of the 19th century, particularly with the carriage of coal and other freight. However the opening of a direct service from London to Portsmouth in 1847 began to have a heavy impact on Gosport. 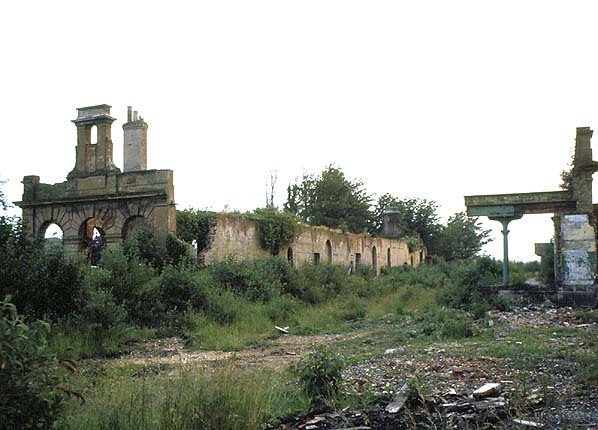 An intermediate station at Brockhurst was opened on 1st November 1865 to accommodate the troops occupying the forts at the north end of the town. By 1900 passenger numbers were in decline due in part to the competition from street tramways but with the coming of WW1 rail traffic quickly improved with supplies to and from the Royal Clarence Yard and large numbers of troop movements including the transportation of the wounded soldiers to Haslar Hospital in Gosport. 1932 1:2500 OS map, the layout of the goods yard has again changed following closure of the hoods shed in 1922. After that date all gods was handled under the trainshed. Coloured lithograph by Bayot and Cuvillier after a painting by French artist Edouard Pingret titled 'Retour du Roi a la Station de Gosport'. 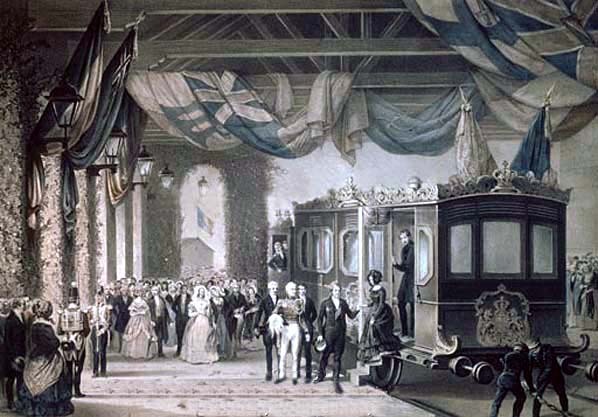 Queen Victoria and Prince Albert are shown being met by dignitaries at Gosport Station in 1845. 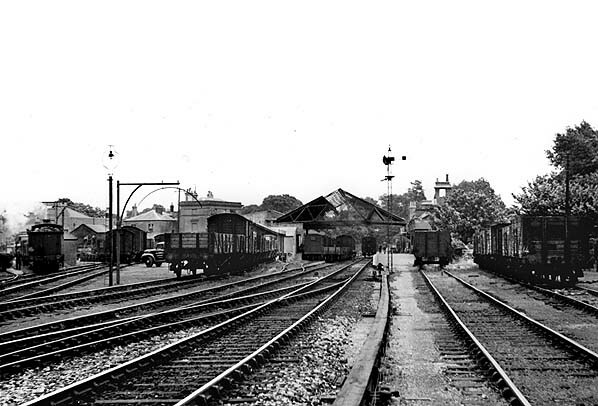 Gosport station looking east early 20th century. Passenger trains used the platform on the right while goods trains used the platform on the left. 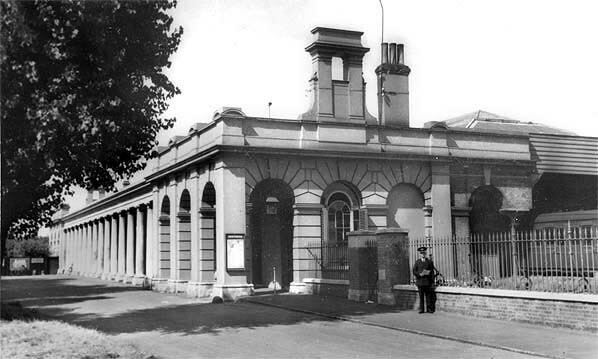 Gosport station entrance in the 1930s. This shows William Tite's architecture at its best. panels in place. The roof was never finished. A busy day at Gosport station in 1958. By this date the station was closed to passenger traffic but still handled a lot of goods traffic. LCGB New Forester Railtour at Gosport Station in 19th March 1966. Q1 class 33006 runs round its train. Gosport Station in looking west in December 2008 shortly after redevelopment of the site started. Gosport station looking west along the passenger platform in March 2011 shortly after the redevelopment was completed. 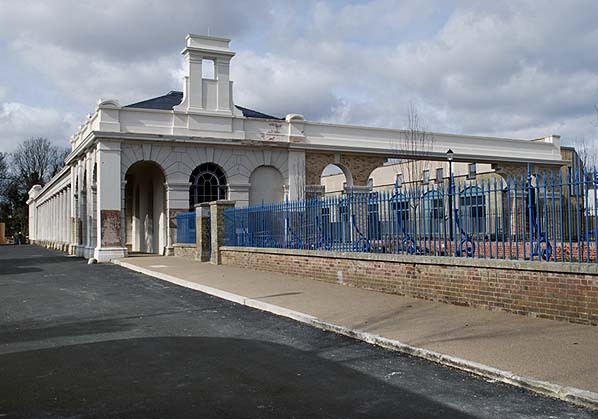 Gosport station forecourt in March 2011 showing the high quality of the restoration.